Astro-Vision Futuretech Pvt. Ltd (AVFT) allows you to access its website www.indianastrologysoftware.com and all the content in them on certain terms and conditions specified below. By accessing or subscribing to any part of these sites, you are explicitly agreeing to the terms and conditions below. These terms and conditions were updated as on November 1, 2008, and Astro-Vision Futuretech Pvt. Ltd reserves all rights to change, modify or alter these terms and conditions at any point of time with or without notifying existing users and subscribers. 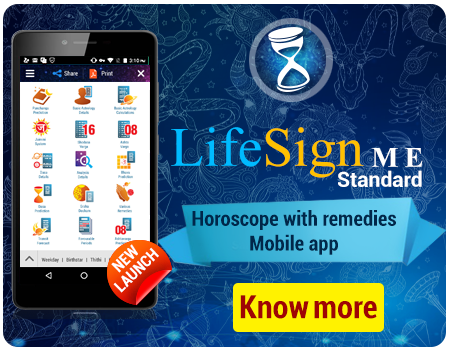 If you do not agree to any new terms and conditions you should not use www.indianastrologysoftware.com. Paid users will be refunded the unexpired portions of their subscriptions on a pro rata basis if they send us an email within 72 hours of changes made in the terms and conditions. The references in these terms and conditions to "AVFT" (or "we", "us" or "our") refer to the company Astro-Vision Futuretech Pvt. 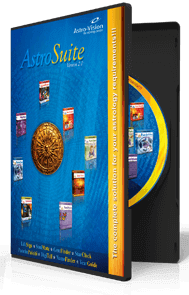 Ltd (AVFT) or any associate/subsidiary concern that may be operating the website www.indianastrologysoftware.com and its associate sites. 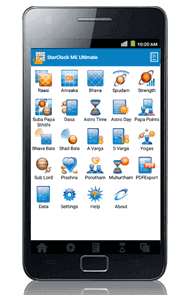 From time to time www.indianastrologysoftware.com may run competitions, prize schemes, promotions and surveys on all its websites. These may be subject to additional terms and conditions that will be specified at the time they are run. The AVFT Sites are best viewed using most versions of popular web browsers. Any older browser versions may work but users could have a limited browsing experience. The AVFT site may not work well with Netscape versions. Payments to AVFT online are facilitated through CCAvenues.com. Any payments made through indianastrologysoftware.com must meet the terms and conditions indicated by ccavenues.com. The AVFT content is for your general information and use and is not intended to address your particular business or other requirements. In particular, the content does not constitute any form of advice, recommendation, representation, endorsement or arrangement by AVFT and is not intended to be relied upon by users in making (or refraining from making) any specific investment or other decisions. Appropriate independent advice should be obtained before making any such decisions. Any agreements, transactions or other arrangements made between you and any third party named on (or linked to from) the AVFT sites are at your sole risk and responsibility. Any information that you receive via the AVFT sites whether or not it is classified as "real time", may have ceased to be current by the time it reaches you and share price information may be rounded up/down and therefore will not be entirely accurate. AVFT is not responsible for any use of the content by you outside its scope as stated in these terms and conditions. AVFT DOES NOT GIVE ANY WARRANTIES IN RESPECT OF THE AVFT SITES. TO THE EXTENT ALLOWED BY APPLICABLE LAW, AVFT HEREBY DISCLAIMS ALL OTHER WARRANTIES, CONDITIONS OR DUTIES OF EVERY NATURE WHATSOEVER (EXCEPT ANY DUTIES OF GOOD FAITH), INCLUDING WITHOUT LIMITATION, ANY IMPLIED WARRANTIES OF SATISFACTORY QUALITY, MERCHANTABILITY OR OF FITNESS FOR A PARTICULAR PURPOSE, ANY EXPRESS OR STATUTORY WARRANTIES, AND ANY WARRANTIES OR DUTIES REGARDING ACCURACY, TIMELINESS, COMPLETENESS, PERFORMANCE, AVAILABILITY, LACK OF NEGLIGENCE OR OF WORKMANLIKE EFFORT. NEITHER DO WE PROVIDE ANY WARRANTY THAT THE AVFT SITES ARE FREE FROM INFECTION BY VIRUSES OR ANYTHING ELSE THAT HAS CONTAMINATING OR DESTRUCTIVE PROPERTIES. TO THE FULL EXTENT ALLOWED BY APPLICABLE LAW, YOU AGREE THAT AVFT WILL NOT BE LIABLE TO YOU FOR ANY LOSSES WHICH RELATE TO YOUR BUSINESS OR INVESTMENT CHOICES OR WHICH ARE NOT A DIRECT CONSEQUENCE OF YOUR USE OF THE AVFT SITES (INCLUDING LOST PROFITS OR LOSS OF PRIVACY OR LOSS OF OR DAMAGE TO DATA) OR WHICH ARISE AS A RESULT OF YOU USING THE AVFT SITES OUTSIDE THE SCOPE OF THESE TERMS AND CONDITIONS. IN ADDITION TO BUT SEPARATE FROM THE ABOVE SPECIFIC EXCLUSION AND TO THE FULL EXTENT ALLOWED BY APPLICABLE LAW, YOU ALSO AGREE THAT AVFT WILL NOT BE LIABLE TO YOU FOR ANY OTHER INDIRECT, SPECIAL, CONSEQUENTIAL INCIDENTAL, PUNITIVE OR EXEMPLARY DAMAGES WHATSOEVER THAT ARISE OUT OF OR ARE RELATED TO YOUR USE OF THE AVFT SITES. AVFT SHALL USE REASONABLE ENDEAVOURS TO PROMPTLY REMEDY ANY FAULTS IN THE AVFT SITES OF WHICH IT IS AWARE. - IF YOU HAVE SUBSCRIBED TO RECEIVE ANY PAID FOR SERVICES, YOUR REMEDY IS LIMITED TO THE DIRECT DAMAGES YOU ACTUALLY INCUR ARISING OUT OF YOUR USE OF THE AVFT SITES. THIS IS SUBJECT TO A LIMIT EQUAL TO THE ANNUAL FEE (OR ANY OTHER PERIOD) PAID BY YOU TO AVFT PURSUANT TO THESE TERMS AND CONDITIONS DURING THE YEAR IN WHICH THE DAMAGE IS INCURRED. YOU MAY AT YOUR OPTION RECEIVE PAID SERVICES TO THE EQUIVALENT VALUE OF THIS LIMIT IN PLACE OF MONETARY DAMAGES. IF A COURT OF COMPETENT JURSIDICTION DETERMINES THAT EITHER OF THE ABOVE LIMITS ON OUR LIABILITY ARE UNENFORCEABLE, THEN YOU AGREE THAT IN ANY EVENT OUR TOTAL LIABILITY TO YOU SHALL NOT EXCEED DAMAGES GREATER THAN THE VALUE OF THE RELEVANT ANNUAL SUBSCRIPTION FEE. You must provide us with complete and accurate payment information. You can pay by either credit or debit card through your bank's internet payment gateway. By submitting credit or debit card payment details to AVFT you warrant that you are entitled to purchase the subscription services using those payment details. In the case of unauthorised payments AVFT reserves the right to suspend or terminate your access to the online services. If we do not receive payment authorisation or any authorisation is subsequently cancelled, we may immediately terminate or suspend your access to any paid-for services. AVFT will try to process your subscription promptly but does not guarantee that the paid services will be available to you by any specified time. A contract with you for receipt of the paid services will come into effect when AVFT sends you an email message confirming your subscription details. AVFT will charge you in Indian rupees (INR), and any payment in other any other currency will be calculated at the relevant rates of exchange. You may also have to pay any applicable local taxes. AVFT will not entertain any dispute about the rate at which your currency is converted into Indian rupees since these transactions are determined through the agreements CCAVENUES, our payment gateway partners, has with banks and credit card companies. Certain areas of the AVFT sites are only accessible to users who pay to subscribe. There are two levels of subscription - free content for registered users, which mostly contains content up to 72 hours old; and paid subscription, which allows you complete access to relevant content, including all content in our archives, in the section of choice or the entire website, or through newsletters. Canceling or changing your online subscription: When you subscribe we may give you a free trial. You may cancel your subscription at any time during any trial period by informing the webmaster though an email. (webmaster@indianastrologysoftware.com) and by clicking on the "UNSUBSCRIBE" link. AVFT will refund you the unexpired portion of the subscription on a pro rata basis. This means that AVFT will refund you or credit your account with any amounts you have paid us in advance that relate to any remaining period of your subscription. Any cancellation will be effective only once AVFT receives notice of it.